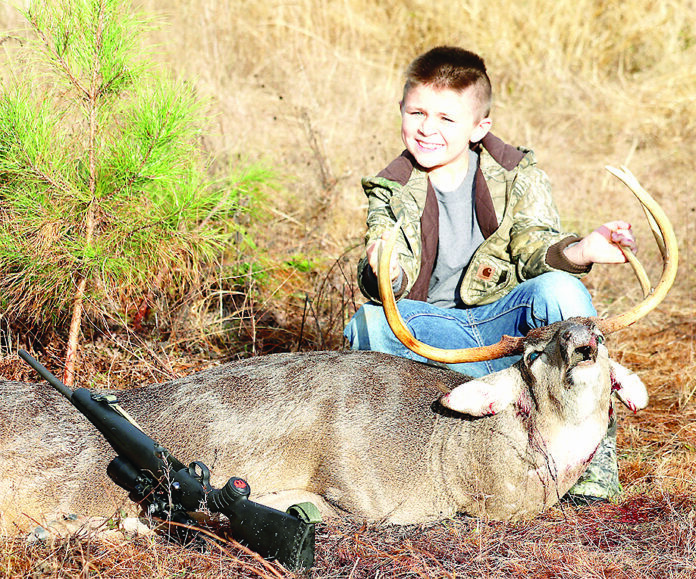 Ethan Smith, 10, harvested a 9-point using his new 243. He is the son of Richard and Becky Smith. His grandparents are Joe and Barbie Stewart and Jerry and Elaine Smith, all of Fairview Alpha.